Healthcare marketing can often be a challenge. Hospitals and clinics must be empathetic, sensitive and sensible in their communication and overall point of view. Healthcare organizations must be subtle with their marketing, yet send a strong message proving their facilities’ competence in administering the highest quality care. The rise of digital marketing has created a more even playing field for all healthcare marketers, leaving medical marketing professionals with an abundance of tools to create thoughtful, effective marketing plans. Why is brand consistency important for healthcare organizations? Maintaining brand consistency should be a top consideration for any healthcare marketer. Due to the high level of scrutiny that often surrounds the healthcare industry, keeping the integrity of the brand can often be difficult. Providing simple, clear messages through a variety of branding and promotional efforts can change the game. 1. Create campaigns that humanize the brand: Patients tend to be far more vigilant in their search for the right provider and doctor. Customers will travel for the right doctor, so it is important for small and rural hospitals to stay relevant through consistent branding and messaging. By creating campaigns that humanize the brand, a hospital or healthcare organization can differentiate their services and specialties from another local provider. For example, touting staff experience levels, patient success stories, risk-free statistics, customer service wins or new technological advancements are some ideas to help your organization stand out. 2. Use social media wisely: A hospital must not only actively use social media; they must use it wisely. Hospitals can utilize social media to send out honest, firsthand information quickly. 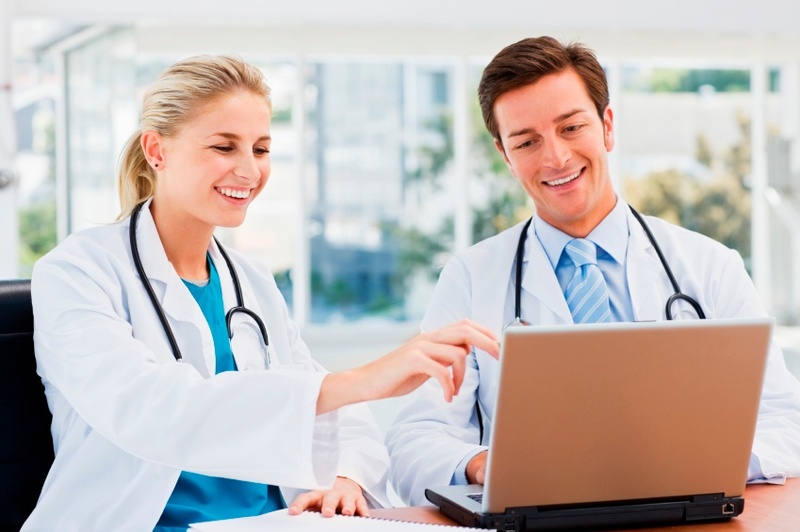 It allows for direct interactions and engagement with patients and potential customers. Through simple posts and curated content, you can strengthen how your customers view your brand. You can easily answer questions publically, and content can be shared easily amongst customers’ newsfeeds. By using this medium, you are maximizing your brand’s exposure, and you can do so for little to no cost. Social media also acts as sounding board to align people suffering from similar health conditions. It can create a community of motivation and might help to absolve some health fears. 3. Create high value content: Hospitals and healthcare organizations need to create content of high value that genuinely helps patients live better. Just creating and adding content for the sake of it will not get the engagement necessary to power your brand. Try using surveys to find out what types of content your audience is most drawn to. Pull content from healthcare associations or though leaders in the industry. Be creative. 4. Seek referrals: Customer referrals are very effective as they carry a very high trust factor. Creating networking groups or in-person events is a great way to spread the word in a more personal setting. Offer a local “lunch and learn” in the cafeteria or at a local restaurant where customers can discuss health topics. Or, throw an open house event with cocktails and appetizers for your current customers and have them bring a friend. You can also partner up with a local realtor, business association or chamber of commerce to co-brand an event. This helps create value for everyone’s customers and builds a deeper connection to all brands involved. Marketing your healthcare organization efficiently and positively makes it not only a recognizable brand to patients and potential patients, but simultaneously gives it a personal, human touch. Following these quick tips shows patients your interest in reaching out to them and making the effort it takes for them to further get to know and trust the brand.